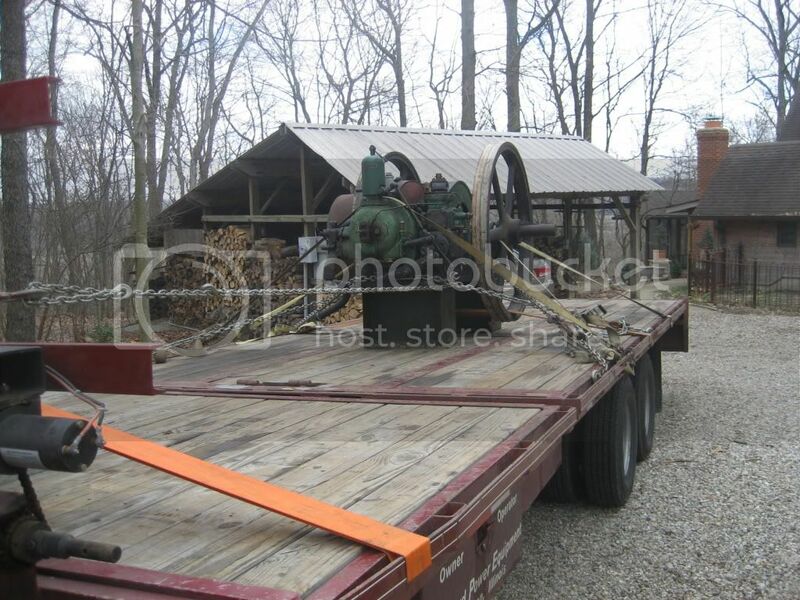 This nice Ruston Hornsby 3CR Elevator engine was owned by Jim McIntyre in Indiana. He has moved on to other projects and the engine has landed at my shop. Look'en good! Thanks for the pics. Whats the rated HP/ rpm of that beauty, Bob? The size of those flywheels sure is impressive. I'm sure it will be gem when you're done with restoration. The CR, which is basically identical to the model 3XHR weighs about 3000 pounds, and is rated 17 HP at 370 rpm. 370 rpm! 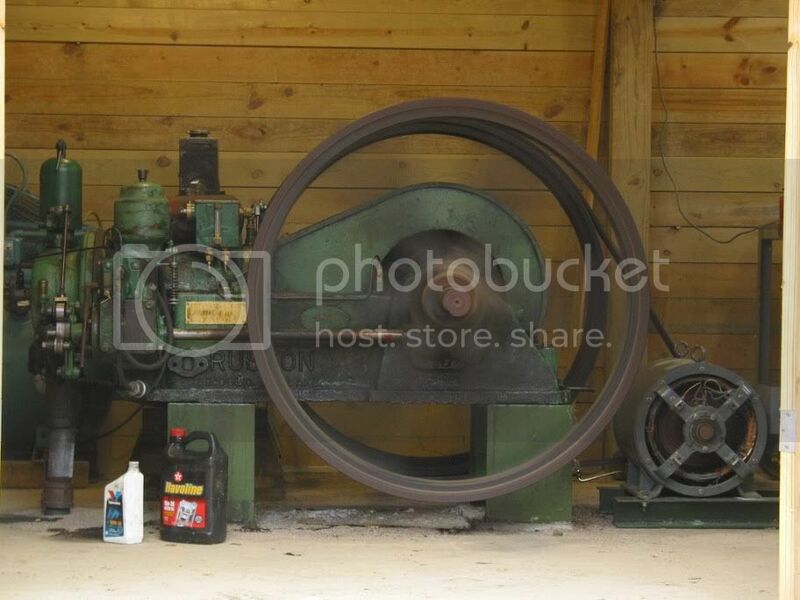 That explains the giant flywheels. It must sound marvelous. I have run the engine for short times. Without a major foundation, it tends to move along. I am designing a steel base for the engine and generator similar to the others I've built. Now looking for the S15 X 50# I beams that are needed. With the Bamford project winding down it is time to direct attention to the Hornsby. 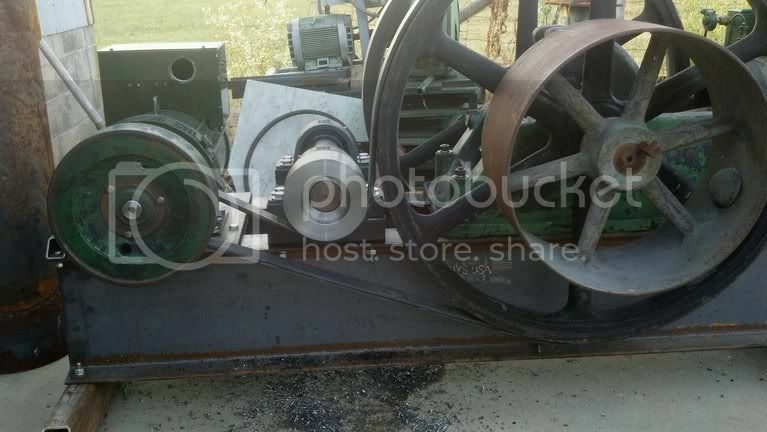 The drive will be a M section poly-V belt over the flywheel to the generator head. With arrangement I can have a 7.2:1 speed increase in one stage and run the engine at 250 rpm. 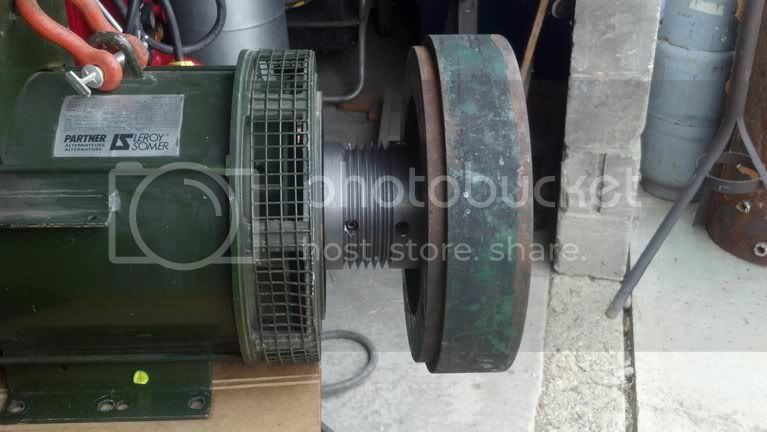 Here is the pulley that I made and a Lister flywheel mounted on the generator shaft. 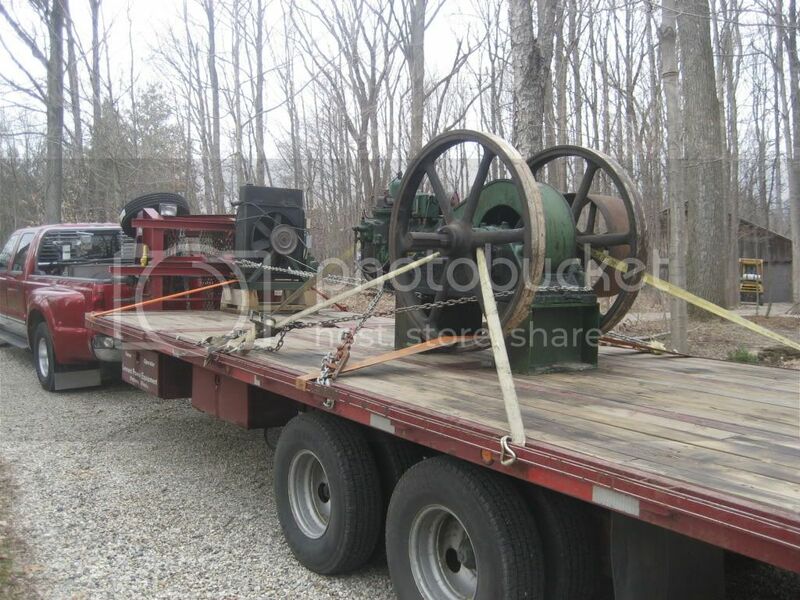 The flywheel is probably 200 lbs and should help smooth out the power. Craigslist score. 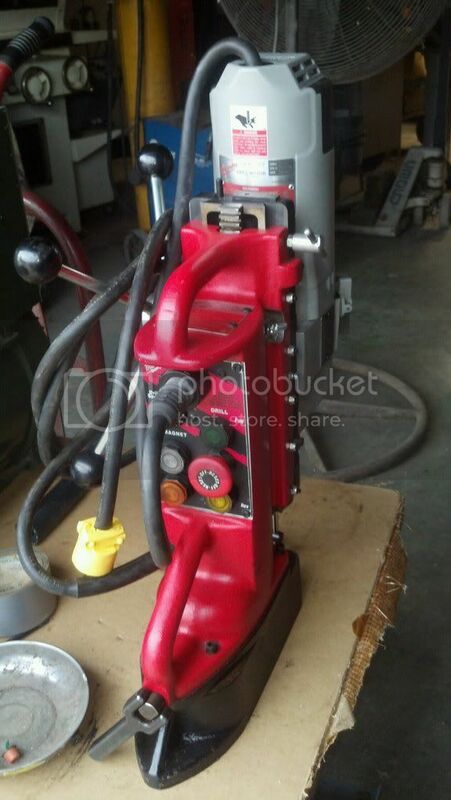 A Milwaukee magnetic base drill. I need this for the framework. I use one of those drills at work Bob. Adjust the head on its base for maximum ridgidity...you will see what I mean. I am getting my head around a cart for the CY. 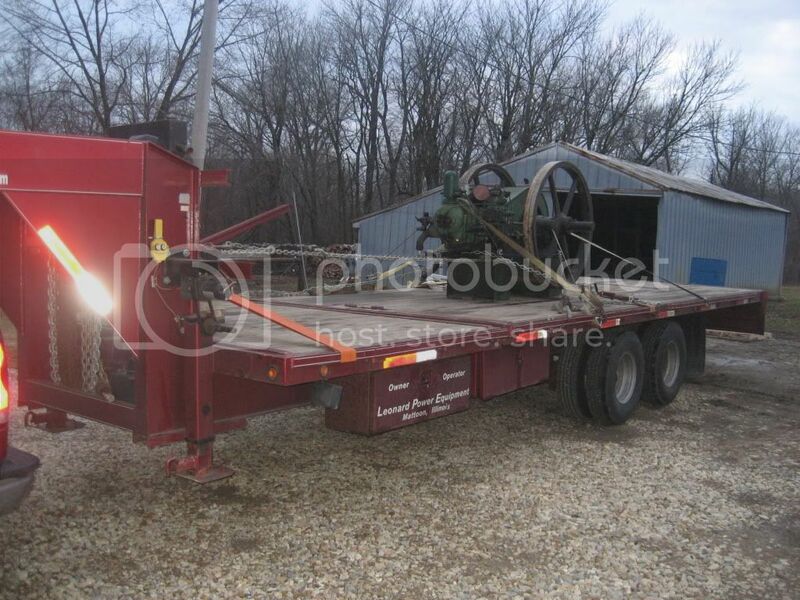 I have a matching set of heavy wagon wheels, 30 and 36 inch dia. Stub (well not so stub) schedule 80 axles welded into a channel and threaded on the end for a cap to hold the wheels on. 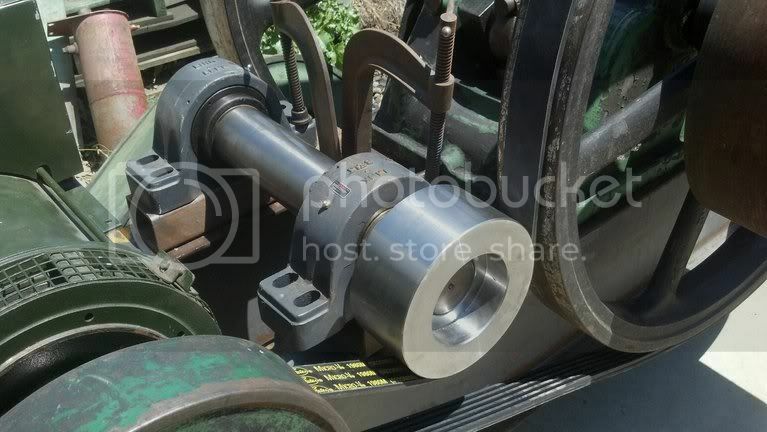 Tapered bores in the hubs so I will make tapered bushings and weld them onto the pipe. Dado the underside of the timber to accept the channel and to disguise it and bolt the channel through the timber in 2 or 3 spots. Plan on making my own fuel tank from a big pipe with the end caps being flame cut plate and welded on. I can get fancy with that because thats our work, CNC flame cutting. Maybe I will make them tall to gravity feed and just weld a tiny angle iron foot onto it to bolt onto the timber. 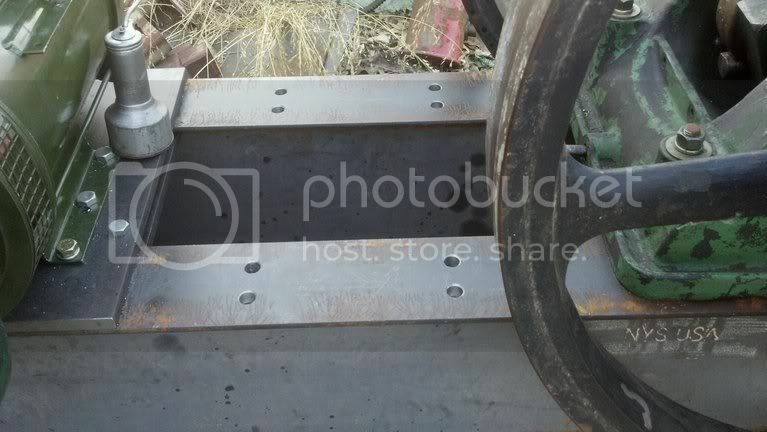 At least thats TODAYS idea... Maybe I'll make a steel frame Good luck on your cart or skid. I 'aint doing anything yet 'cause you'll change my mind when I see yours. You putting the air tank on and going with the Carter rad ? The HR engines were tank cooled except in the elevators as per my email...did you get it ? Here are some pictures of progress. 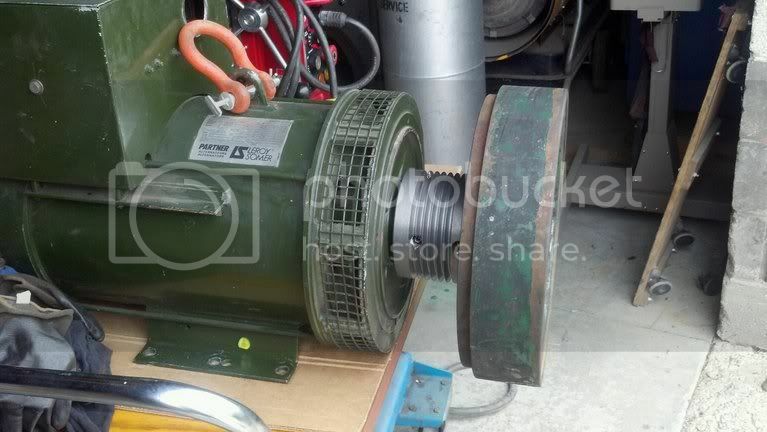 Here is the generator with the M6 poly V belt pulley and a Lister flywheel mounted to the pulley. The belt tensioner is not yet complete. I could only get the belt hand tight, but that will be fixed soon. Here is a video clip of the first short test run. Bob, top notch work as usual. If you ever use that mag drill sideways make sure you use the chain! Very nice and quiet too. Load that baby up and let's see some smoke. I got the belt tensioner built. 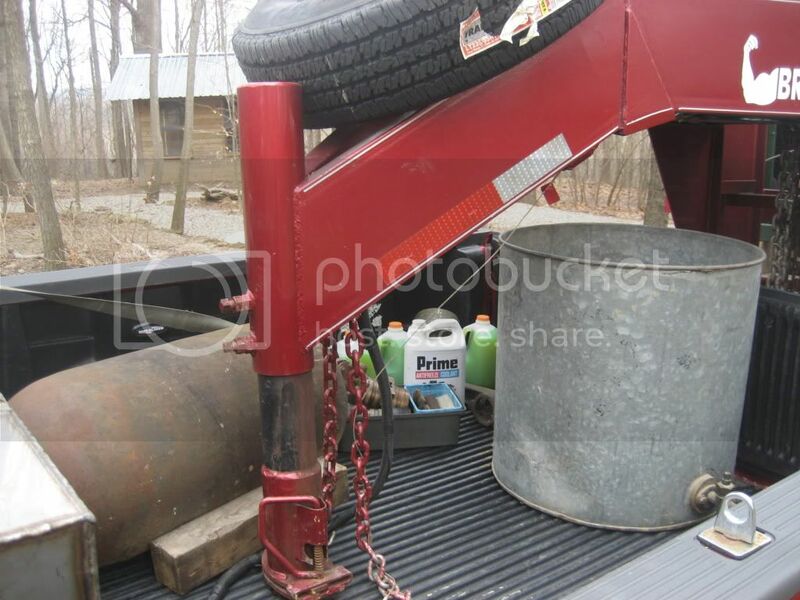 A simple jack screw to slide the generator base back. Did a short test run and found that the belt chirp is the idler pulley. I have some belt dressing here somewhere and will try that. Could not find it yesterday. 104 in the afternoon so I retreated inside for the afternoon. Generator works fine. Frequency holds within .25 hz but I have not placed a load on it.